Hopkinson, C. (2010) More than a good gossip? An inquiry into nurses’ reflecting in the ward. PhD, University of the West of England. We recommend you cite the published version. 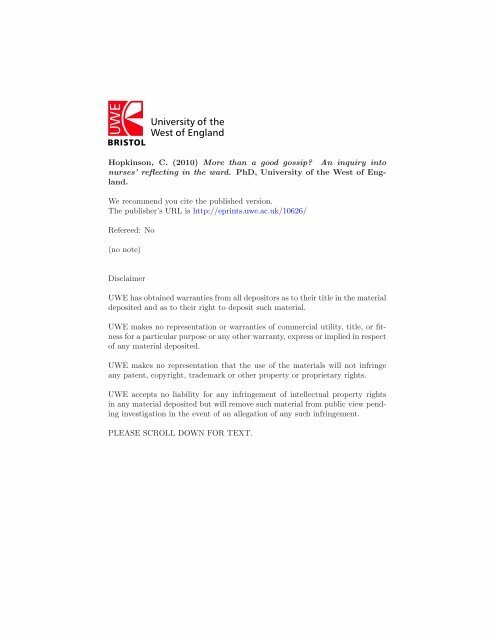 The publisher’s URL is http://eprints.uwe.ac.uk/10626/ Refereed: No (no note) Disclaimer UWE has obtained warranties from all depositors as to their title in the material deposited and as to their right to deposit such material. UWE makes no representation or warranties of commercial utility, title, or fitness for a particular purpose or any other warranty, express or implied in respect of any material deposited. UWE makes no representation that the use of the materials will not infringe any patent, copyright, trademark or other property or proprietary rights. UWE accepts no liability for any infringement of intellectual property rights in any material deposited but will remove such material from public view pending investigation in the event of an allegation of any such infringement.  PLEASE SCROLL DOWN FOR TEXT. oard in the ward teaching room 21 .
individually or as part of a team?